Malaysian citizenship can be obtained either by registration or by naturalisation. Either way you have to give up your prior nationality as Malaysia does not allow dual citizenship. If you are a foreign national, with no Malaysian origins whatsoever, you can obtain Malaysian citizenship by naturalisation. The only requirements are that you are over the age of 21 years, have resided in Malaysia for more than 10 years in the 12 years period immediately preceding the date of application and can show an adequate knowledge of Malay language. However, do not expect that an application for citizenship does actually imply that you will obtain it. 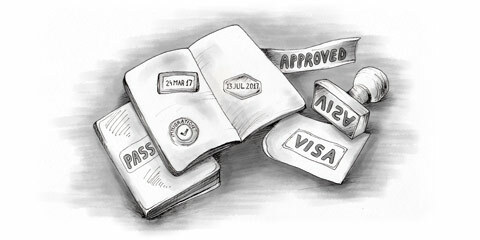 Many expatriates wait several years without any outcome. Also, as many requirements are very vague and subjective, like the knowledge of Malay language, this often leads to refusals of applications. In cases of registration a person is already a citizen by law but has yet to be registered. This applies to persons who were either born outside or within Malaysia privided that at least one parent was Malaysian at the time of birth. In order to register for citizenship the person born abroad has to be under the age of 21 and only an elemantary knowledge of Malay is required. Further information and documents required can be obtained at the website of the Malaysian National Registration Office .